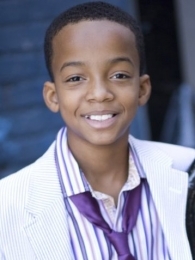 Coy Stewart is no stranger to the fans of Talent INC. After completing his development and performing in the Talent INC Showcase, Coy won Overall Child Actor and proved he had a big future ahead. Shortly after, Coy signed in both the Los Angeles and New York markets and booked one of his biggest jobs on the TBS sitcom Are We There Yet. We are happy to announce that Coy was also just booked as a guest star on the hit Disney Channel show, “Good Luck Charlie.” Coy’s first appearance is scheduled to air on July 14th. He had a great time on set with the cast and looks forward to working with them in the future. Congratulations Coy!! We are so proud of you!